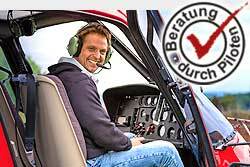 The gift idea for a birthday - a helicopterflight voucher. Surprise your loved ones with this very special gift and take off by helicopter over Graz. The flight time is about 20 minutes.